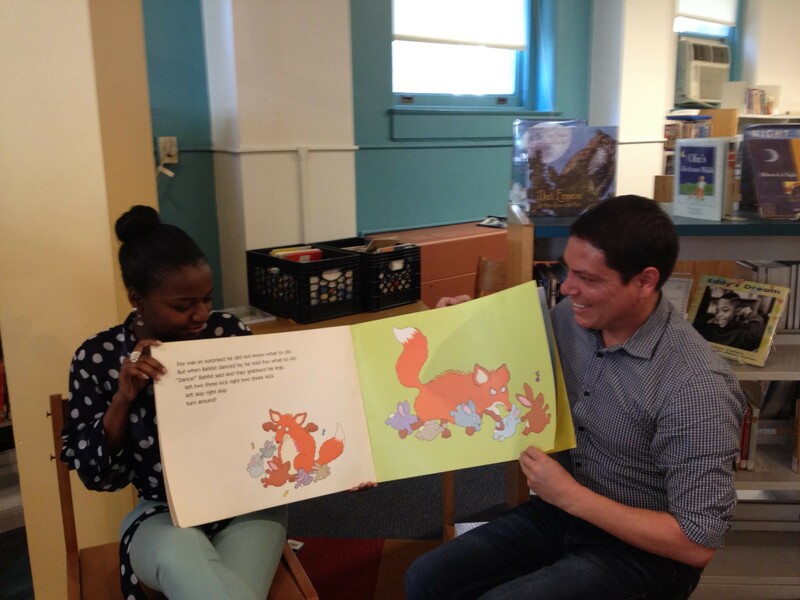 Check out what these Literacy Leaders volunteers are up to at a public library in New Jersey. Want to volunteer with Jersey Cares? Click here to see the many ways to get involved. 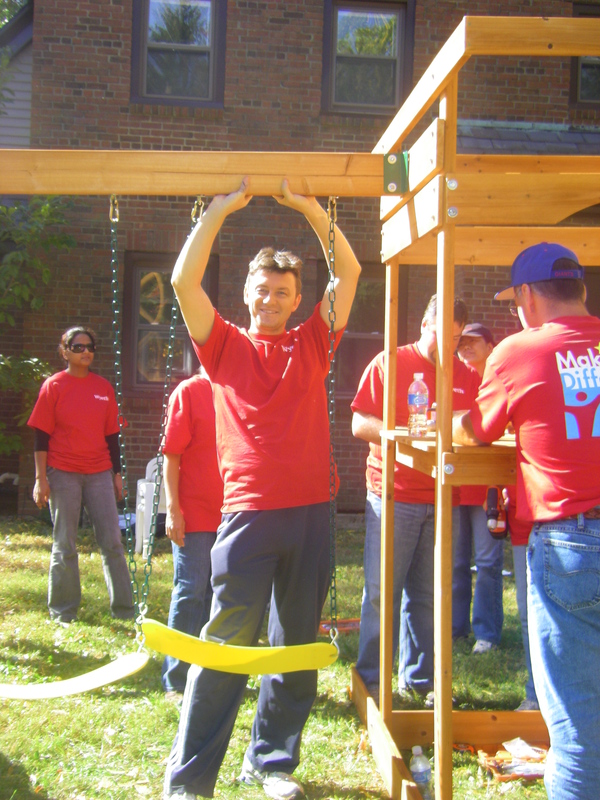 While these Wyeth Volunteers had fun, there was no monkeying around while building this jungle gym! Good thing this PricewaterhouseCoopers Volunteer knows the value of using an umbrella. Getting caught in the rain without one can be a pour choice! 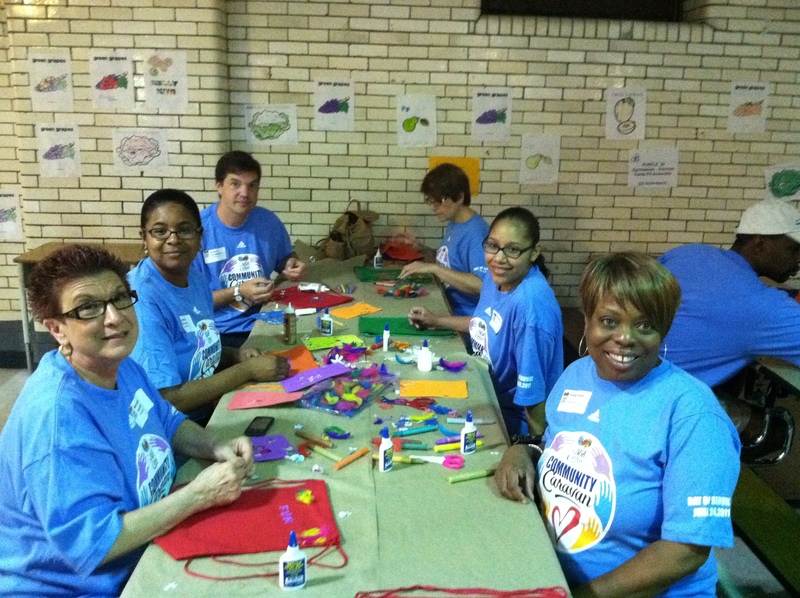 These NBA volunteers are getting crafty making gift bags for students at a Jersey City school. You may get in treble if you don’t take a note from the page of these PSE&G volunteers! 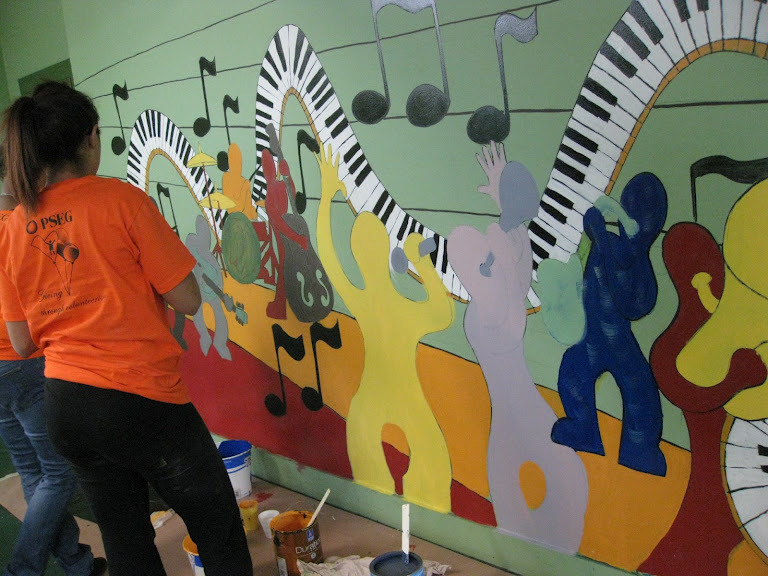 Help lively up a school or agency in New Jersey by becoming a mural artist. Click here to learn more. Eau my! 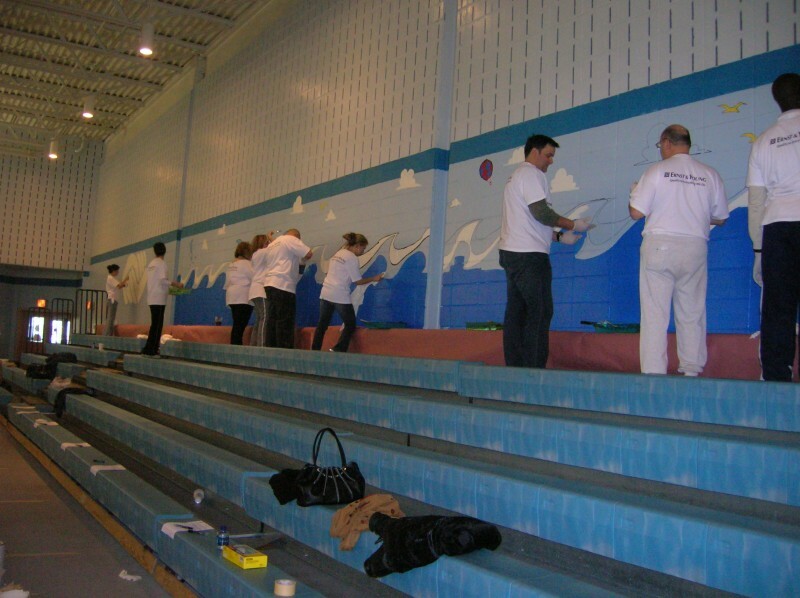 These Ernst & Young Volunteers are making waves with this seascape mural! Get your company involved with Jersey Cares. Click here to learn how! We were floored at how hard working Credit Suisse volunteers are after Superstorm Sandy. There is still much to be done. Get involved today! 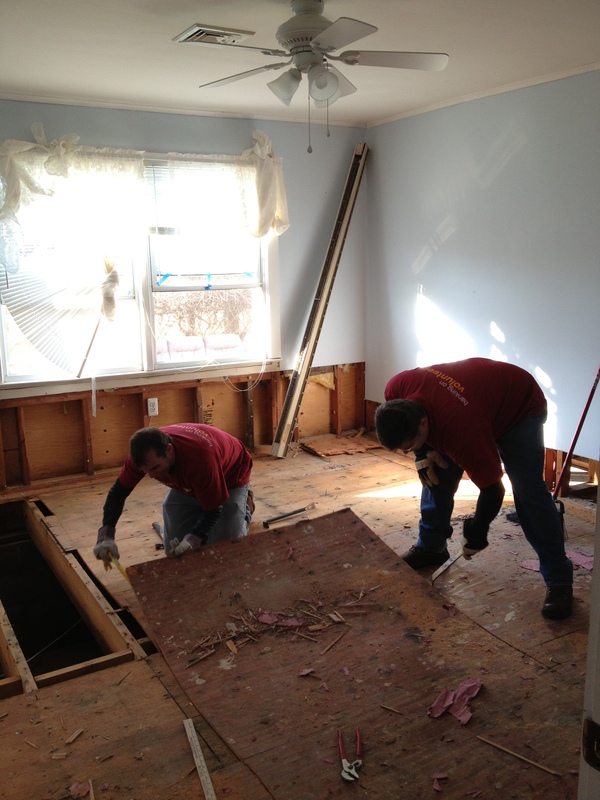 Click here to learn more about Sandy Relief projects.